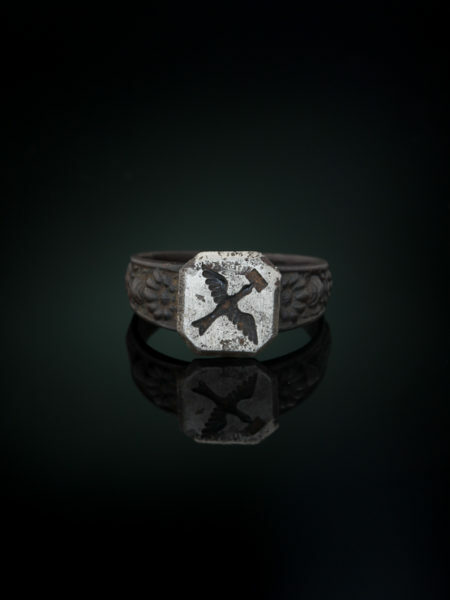 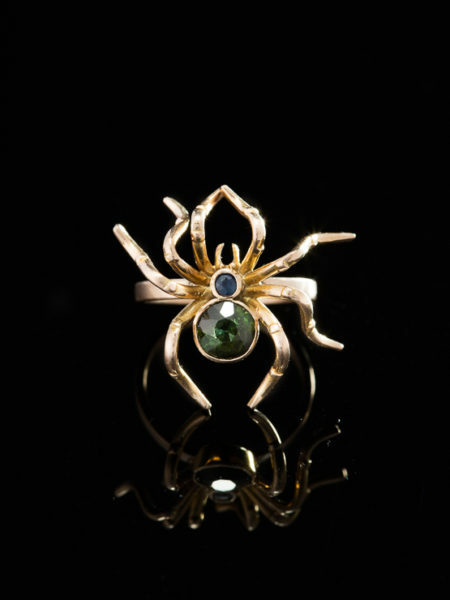 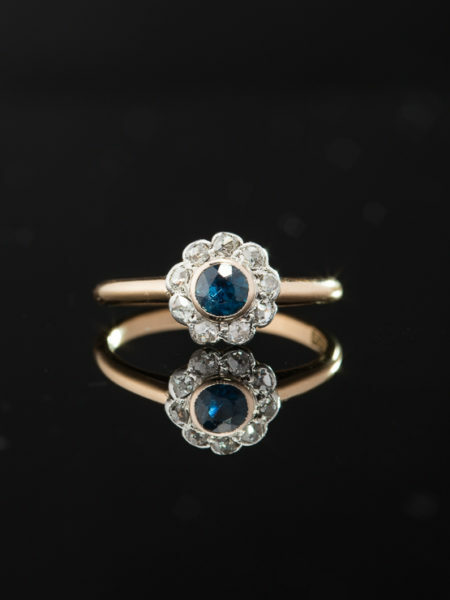 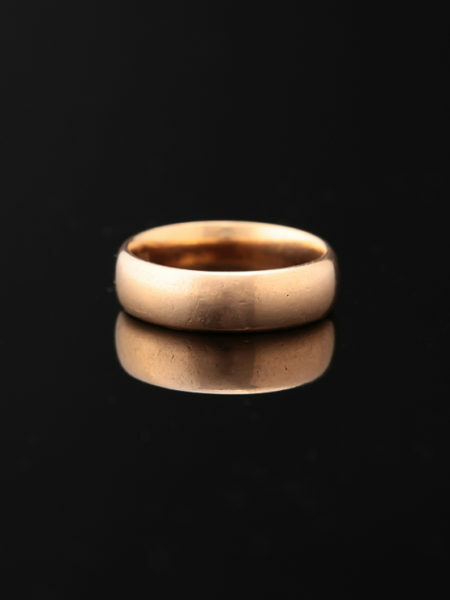 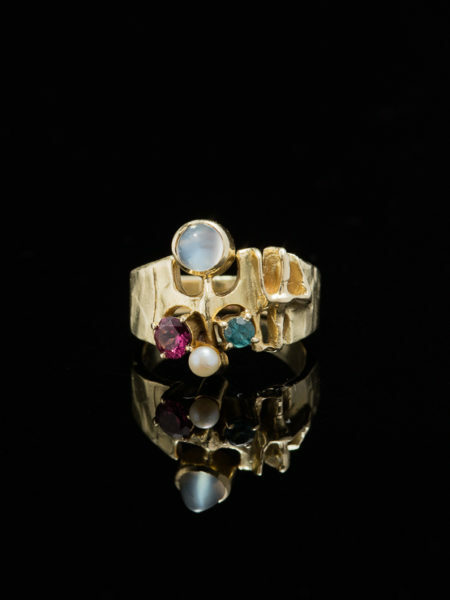 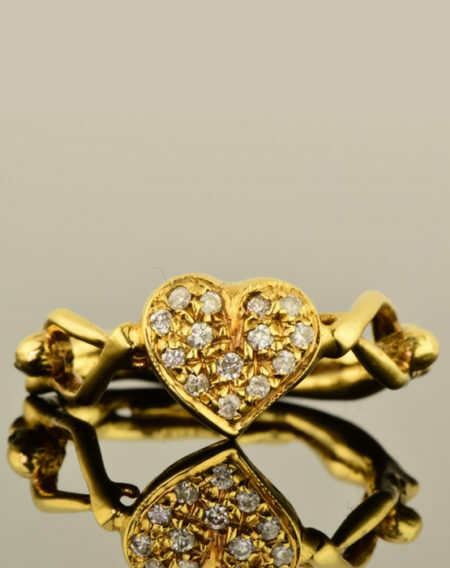 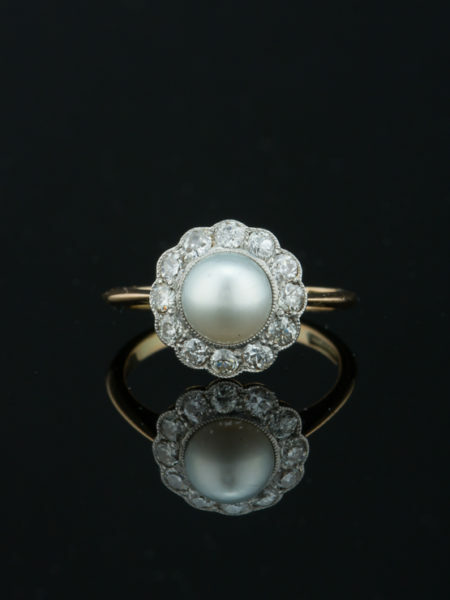 Usually associated with marking a significant date or event in a relationship etrnity ring implies the “forever” concept and is a marvelous way to make an acknowledgment.. 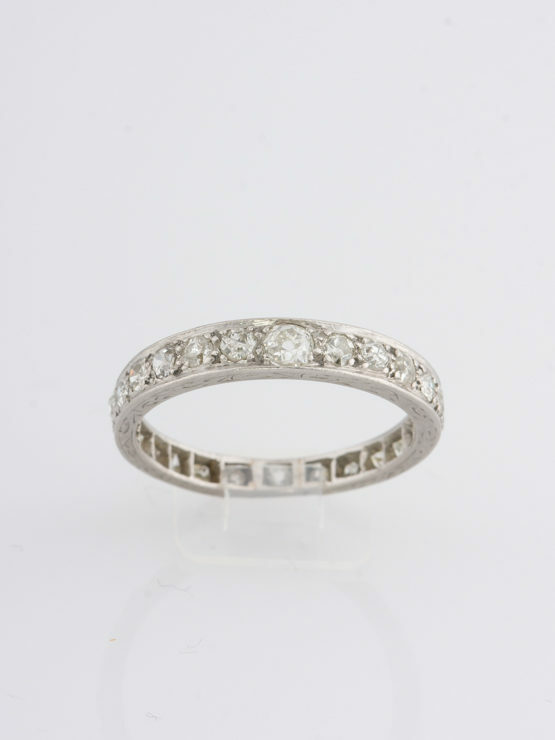 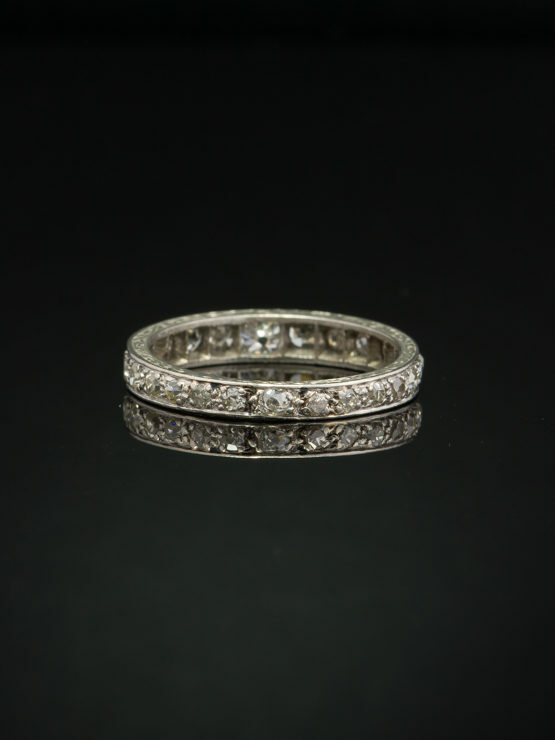 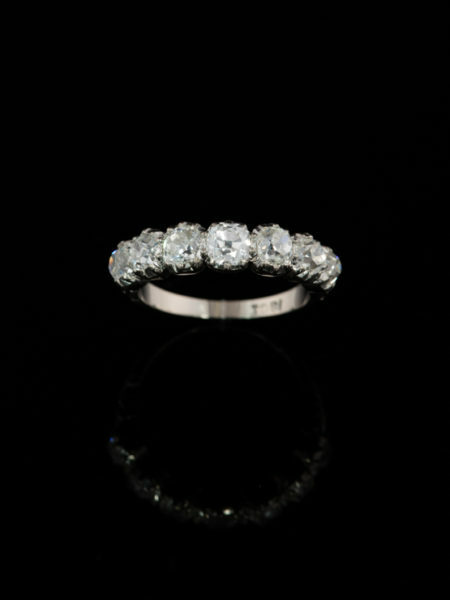 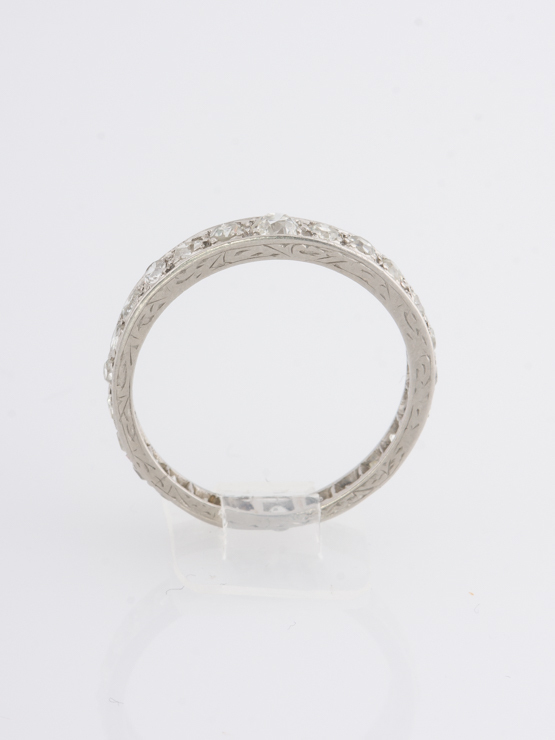 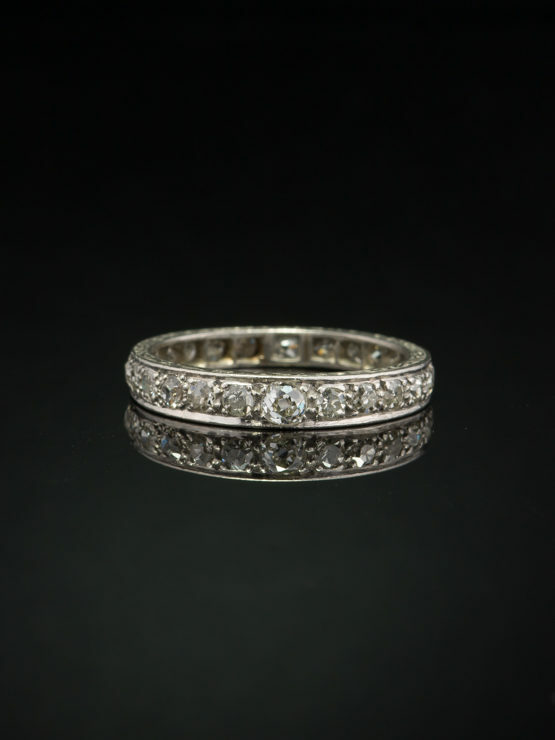 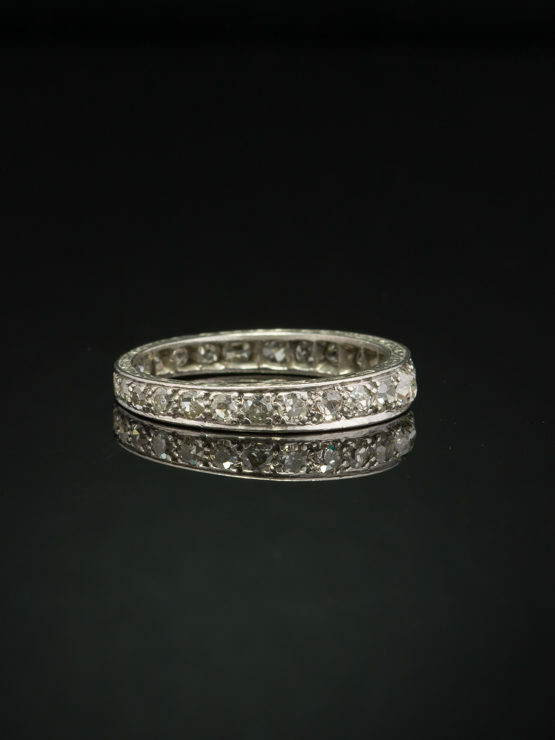 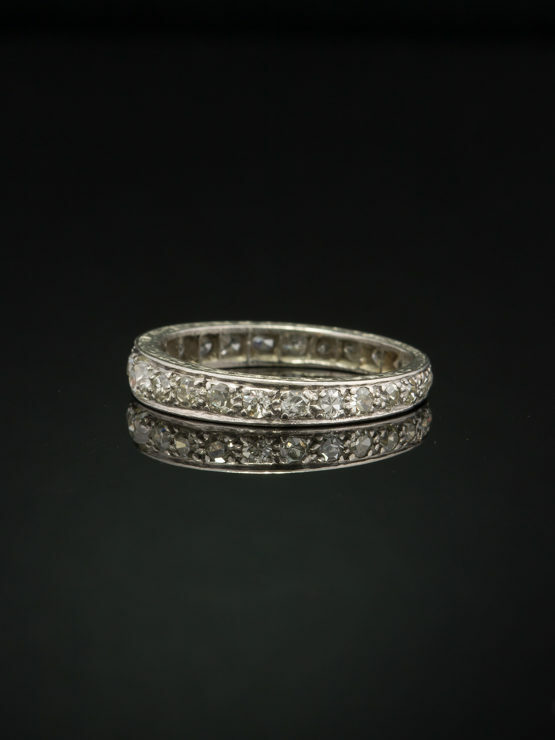 Here a diamond eternity band in platinum from Edwardian era gives the most sentimental message of a never-ending romance. 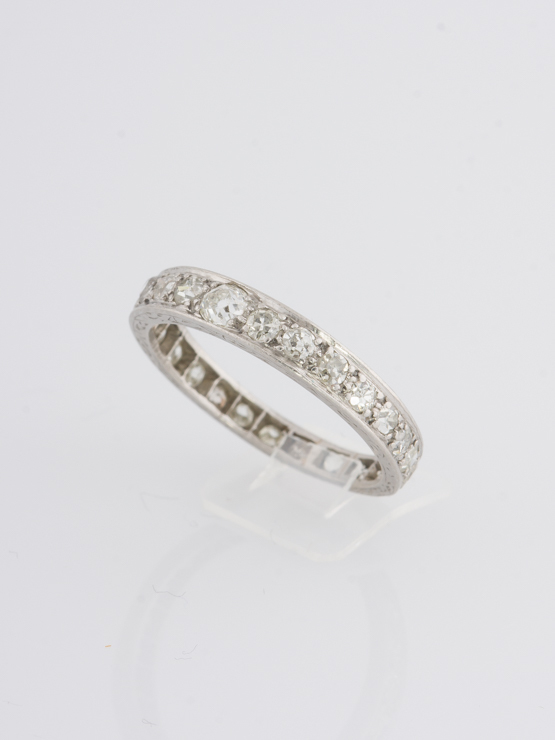 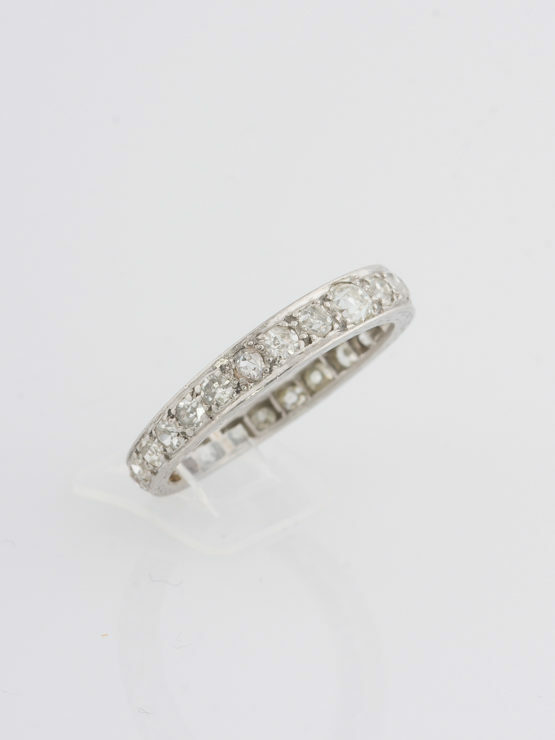 A full eternity band is set with twenty-five slightly graduated old cuts diamonds. 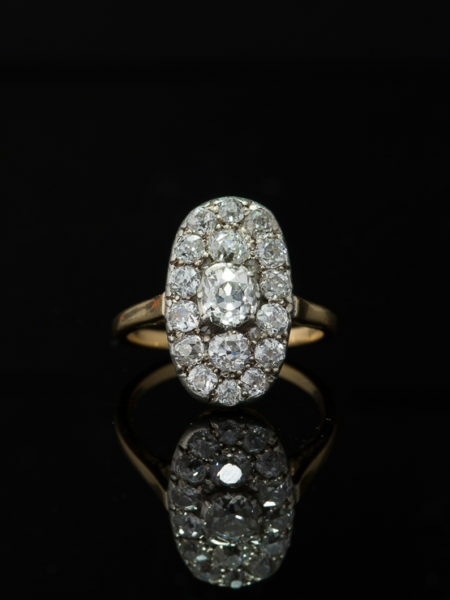 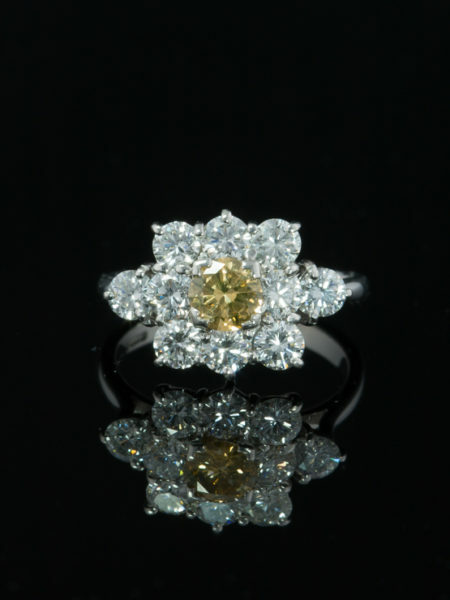 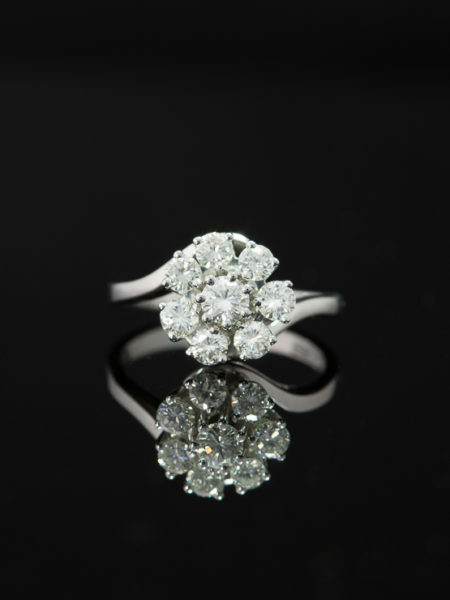 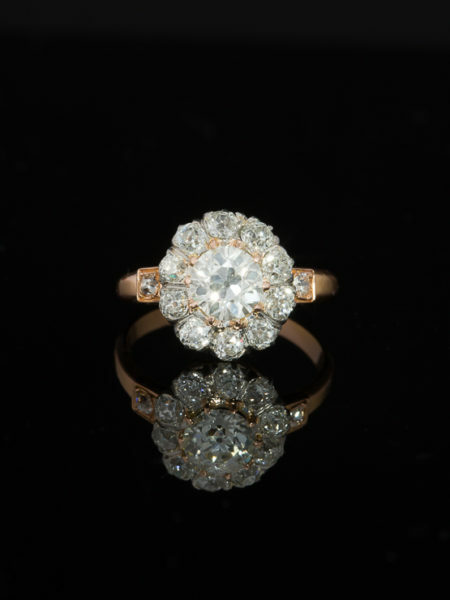 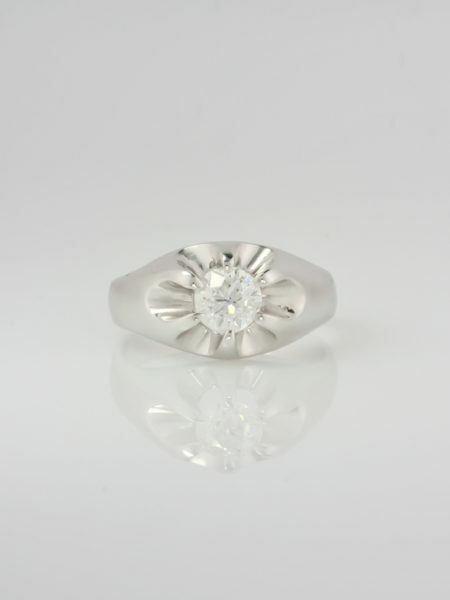 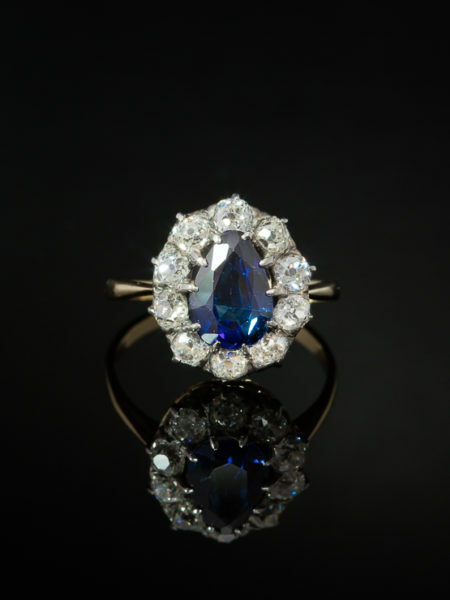 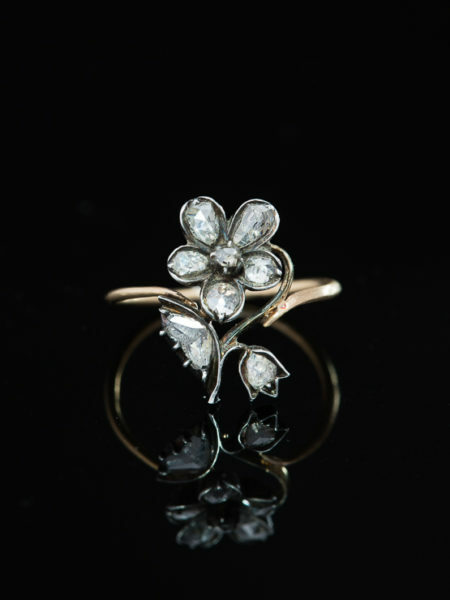 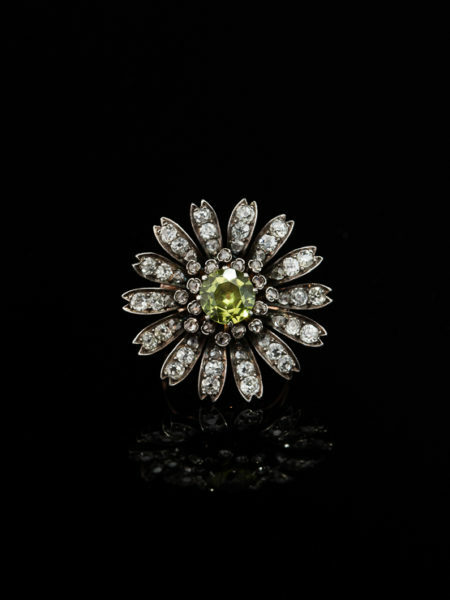 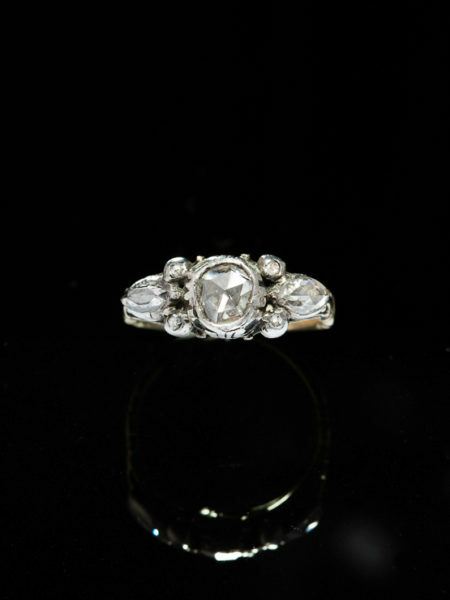 Centering is an old mine cut diamond of approx .17 Ct sparkling full of pure flashes of light. 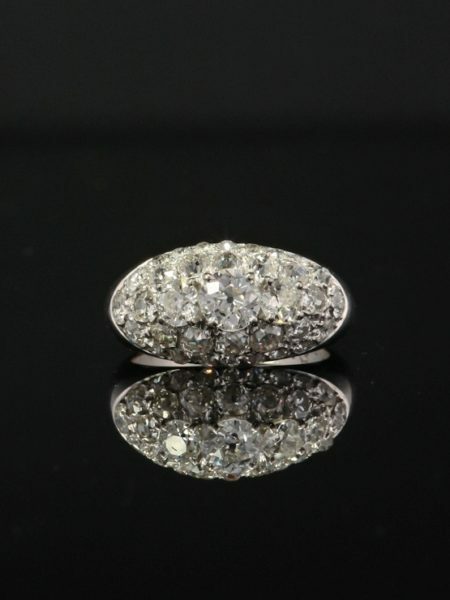 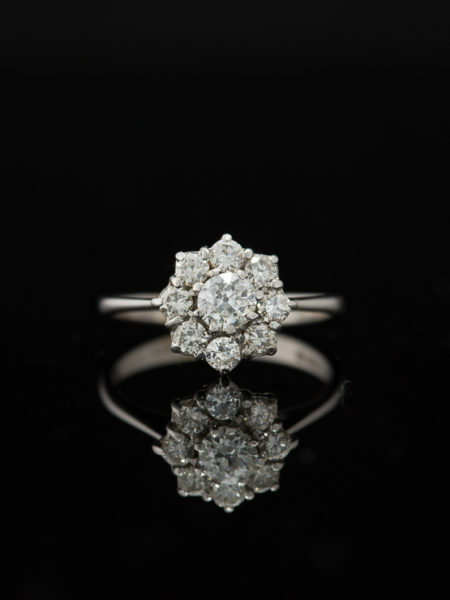 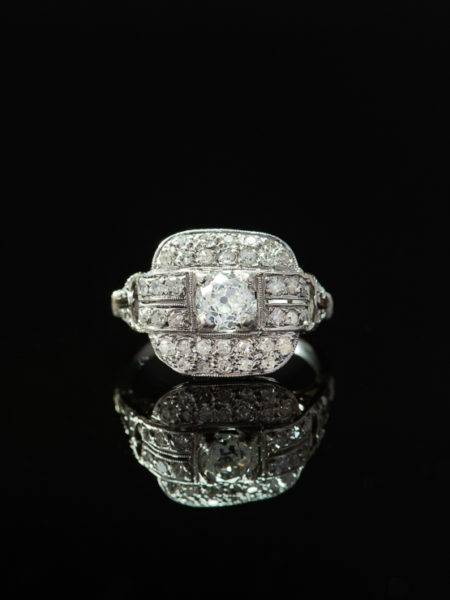 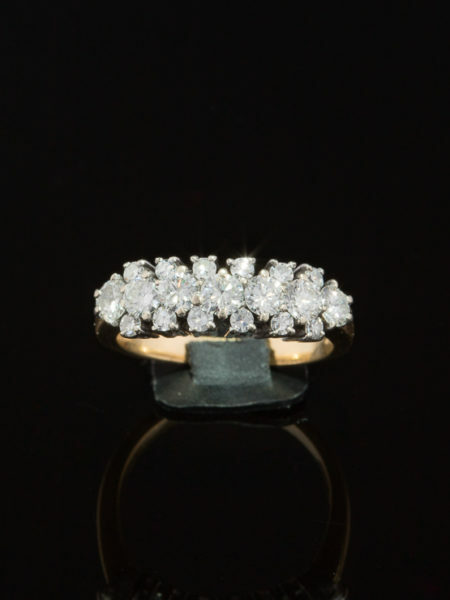 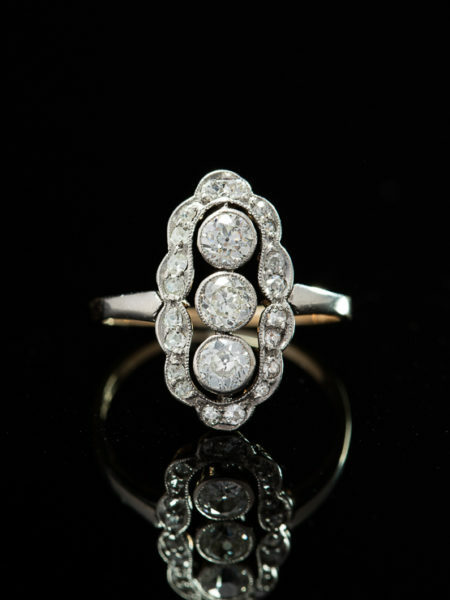 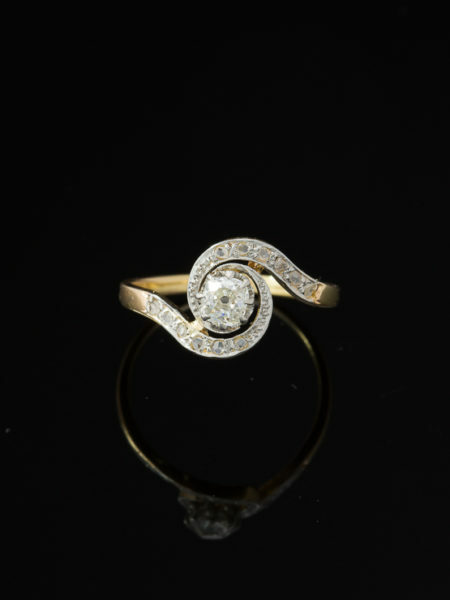 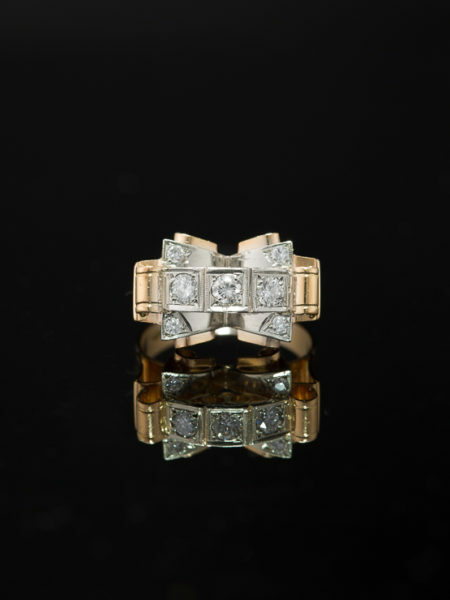 Twenty four between old mine cut and Swiss cut diamonds totaling approx 1.41 Ct make for just the right amount of pizzazz. 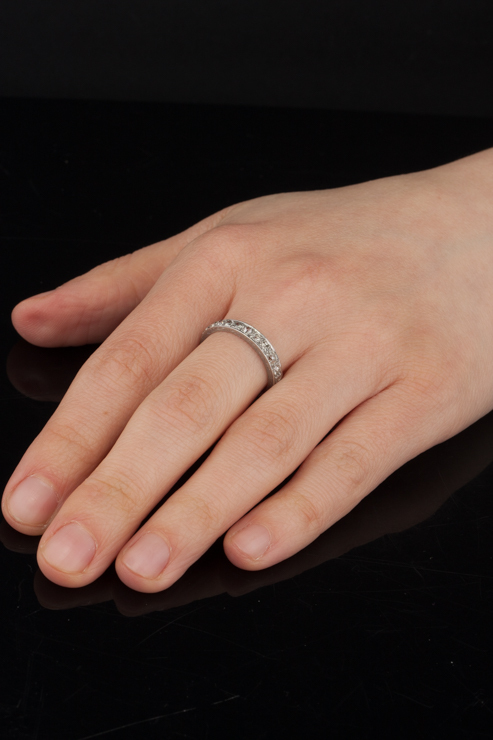 Precious platinum is the medium to carry this message of love. 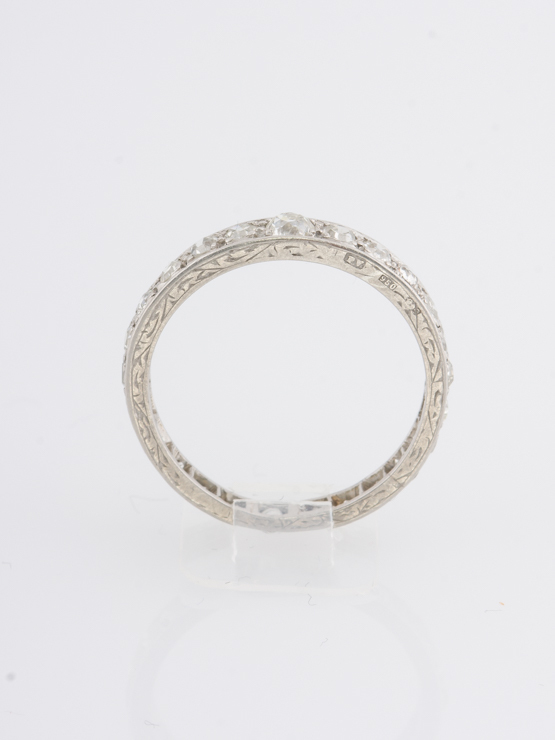 The outer circles are incised with subtle foliate designs which encompass the entire surface. 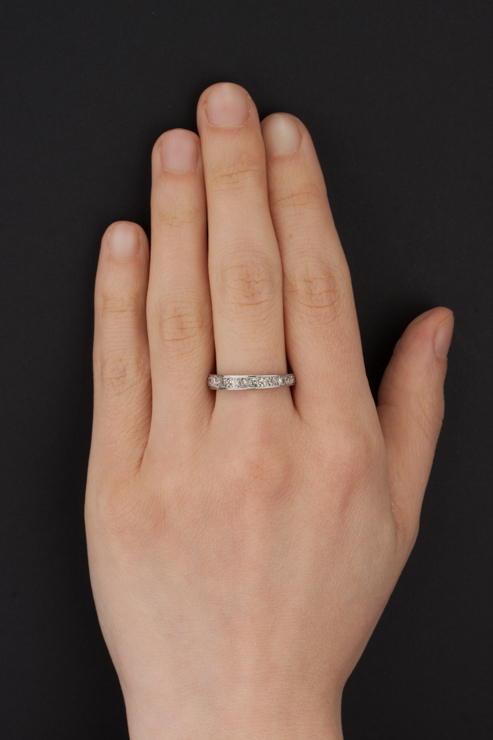 Lovely attention to detail and wonderful textural and visual interest brings this full eternity band to the forefront for stacking or by itself. 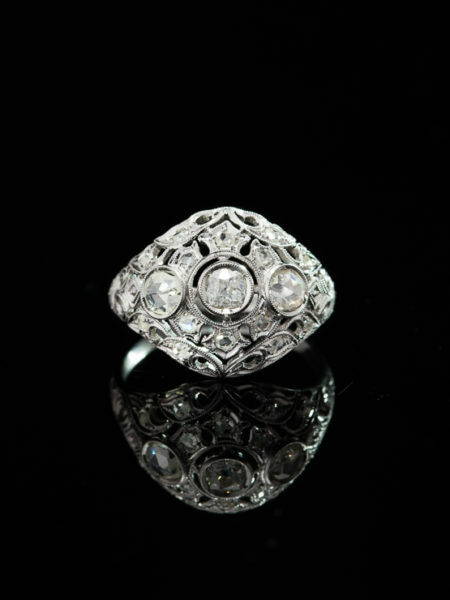 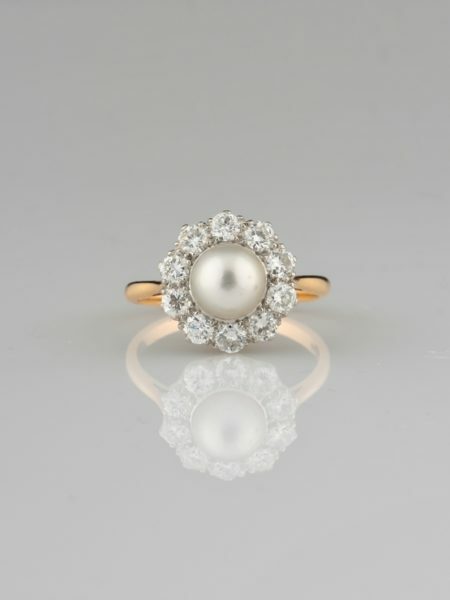 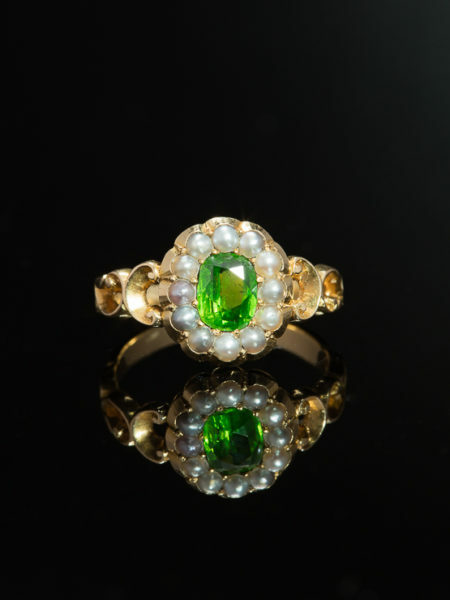 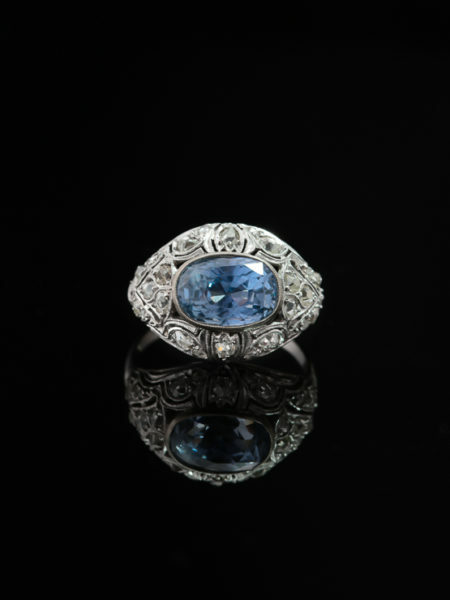 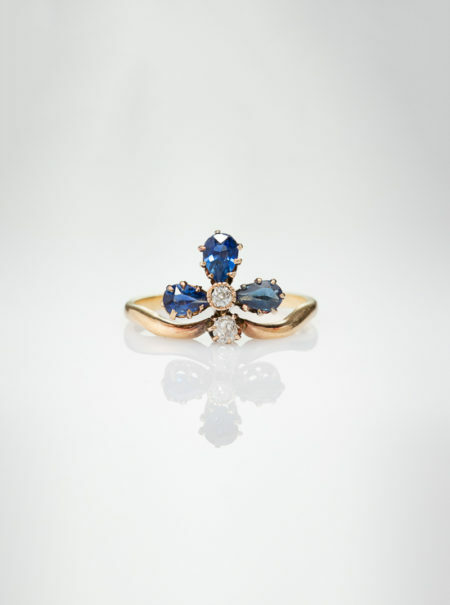 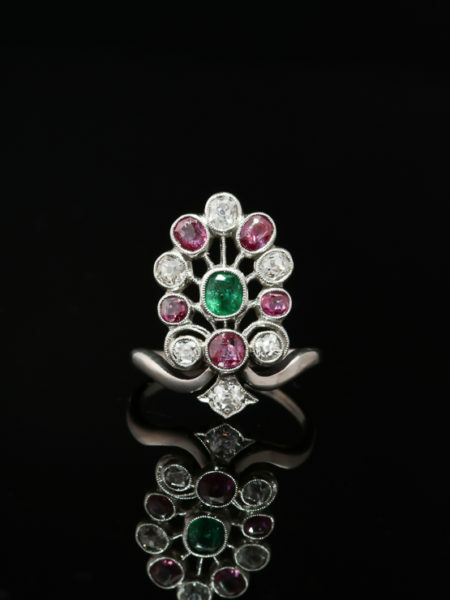 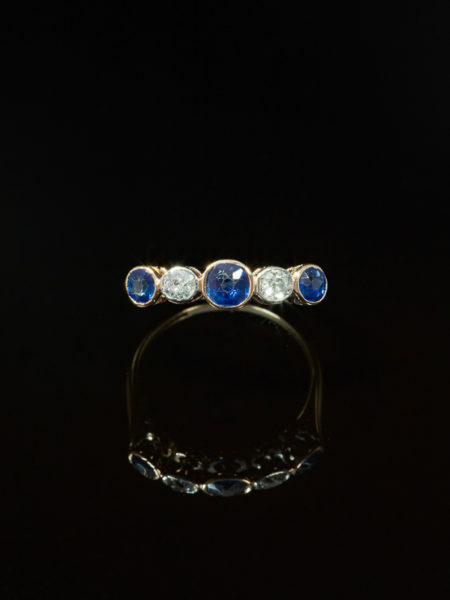 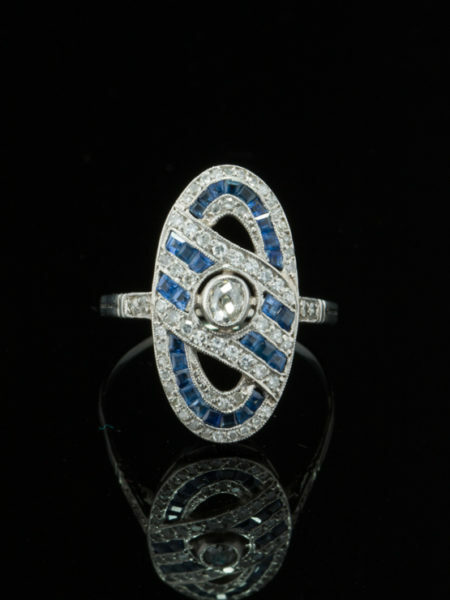 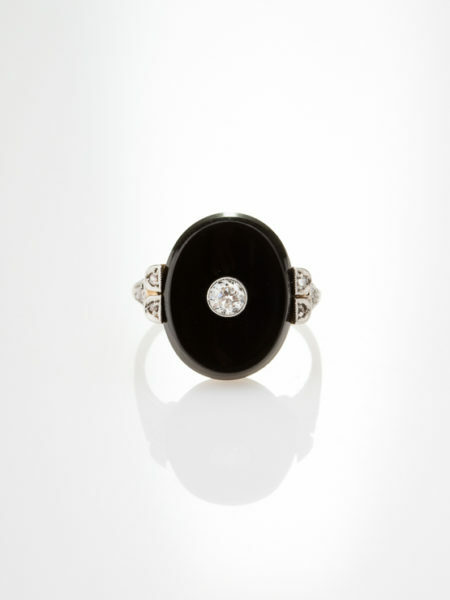 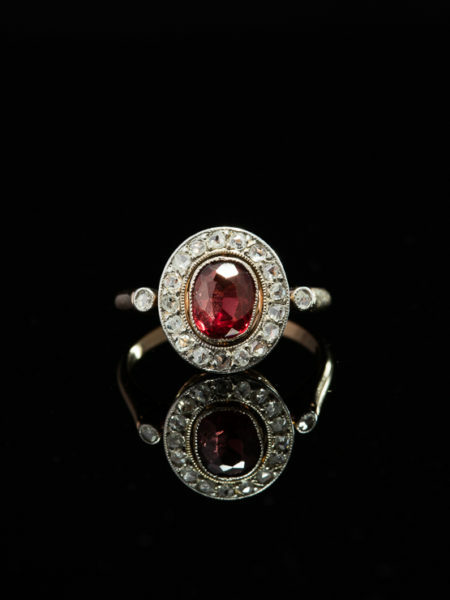 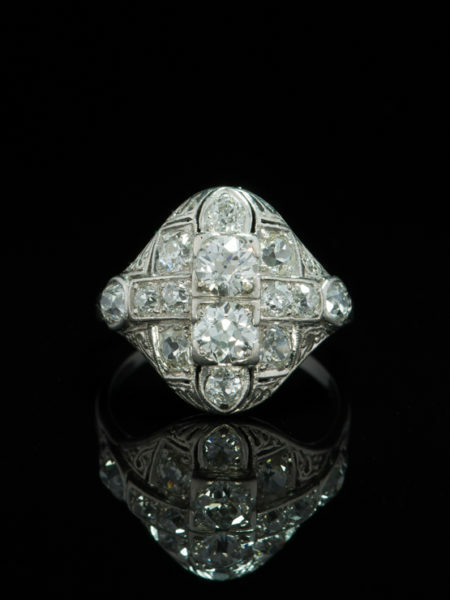 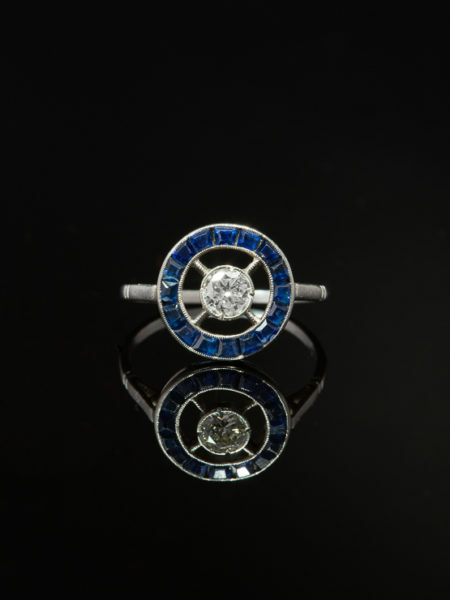 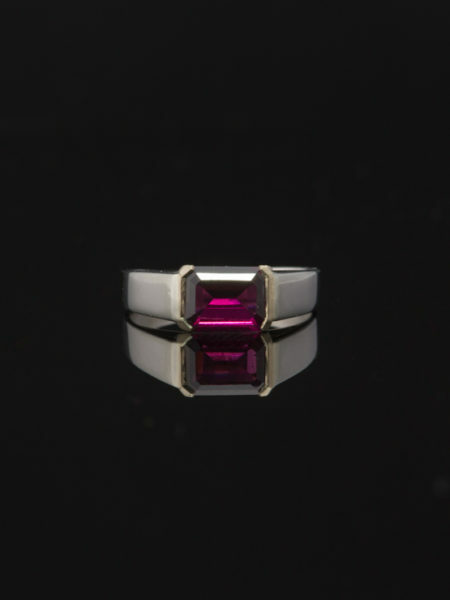 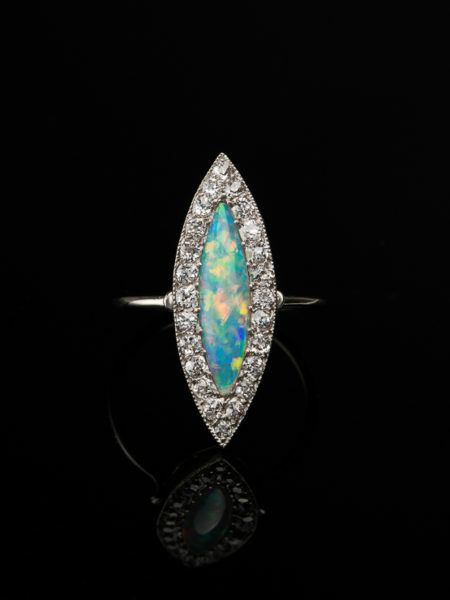 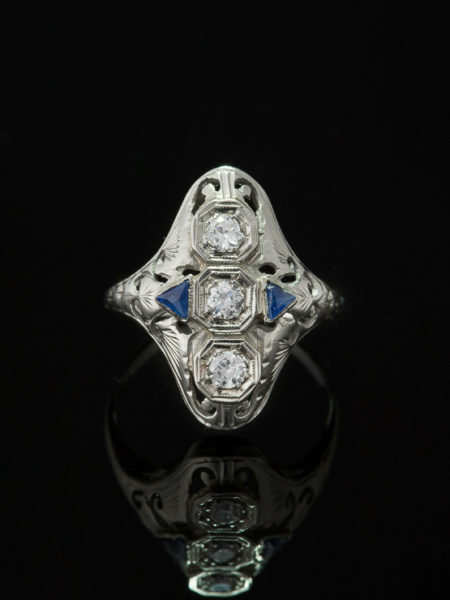 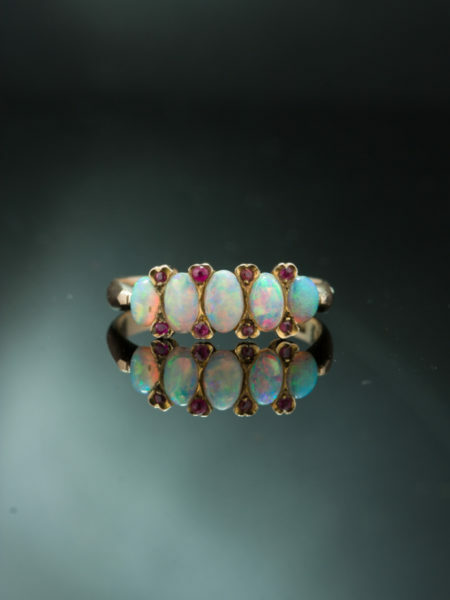 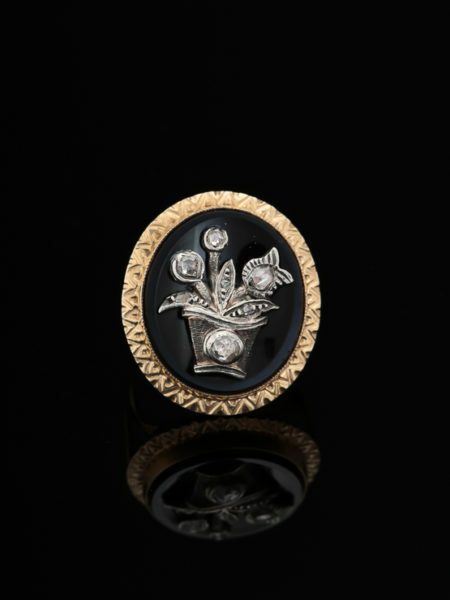 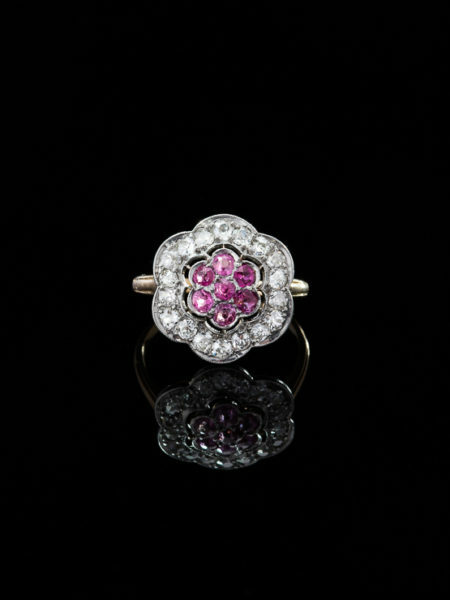 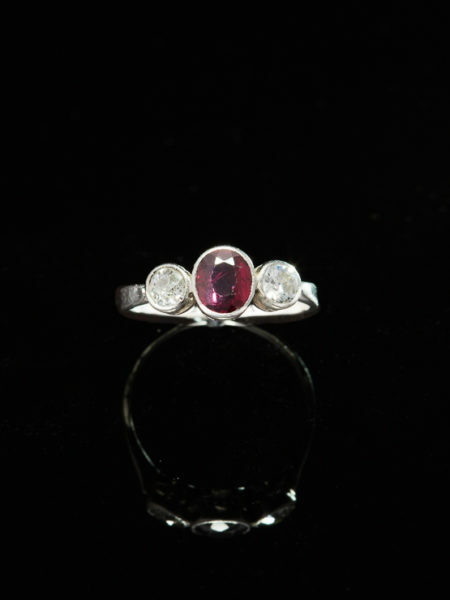 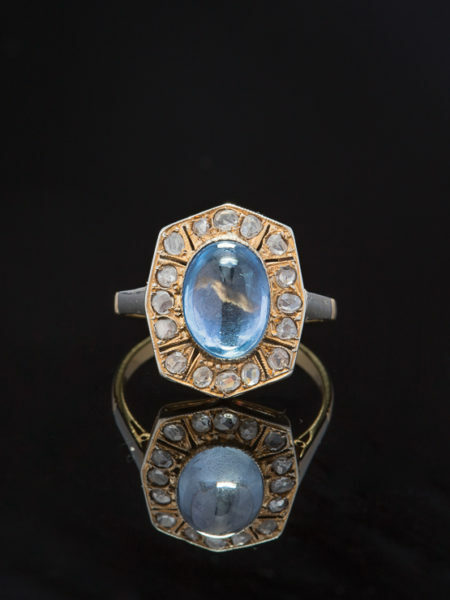 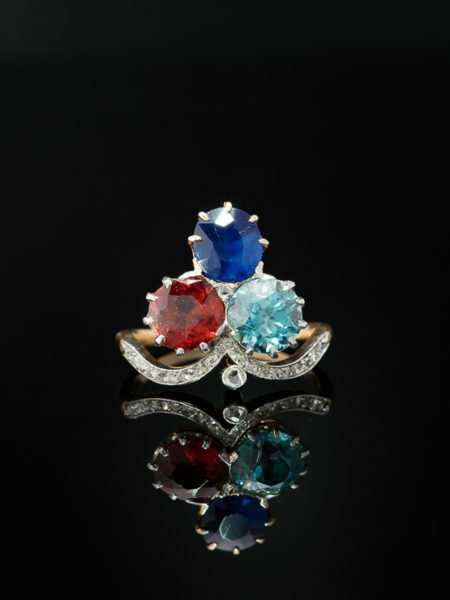 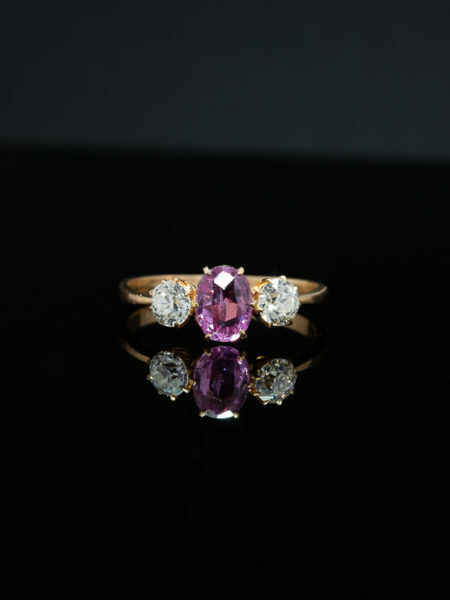 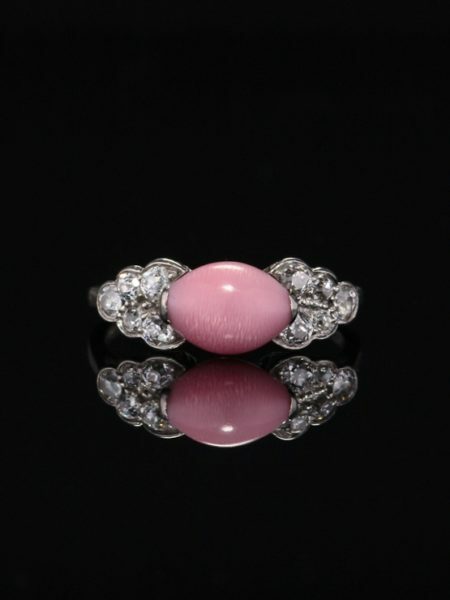 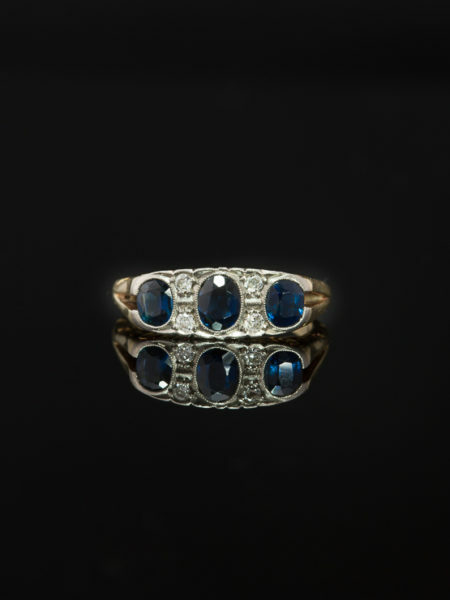 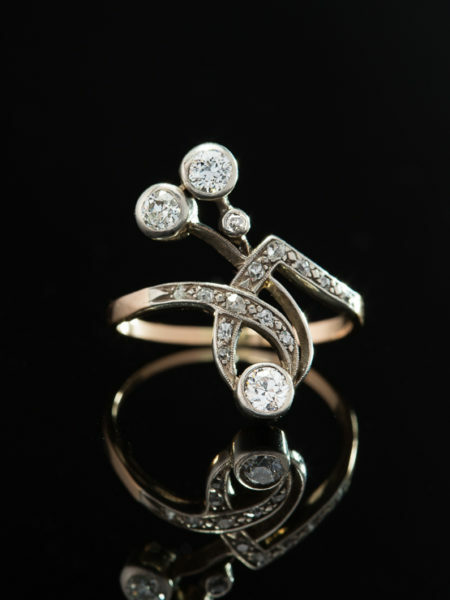 Artfully crafted during Edwardian era by a master goldsmith PV in platinum, marked.